Ghee health benefits, is it a misnomer? In the present day world of media blitz, mass media have an overwhelming influence on the public opinion. Today, the mass medium shapes the dietary habits of people. Medical professionals have played a very major role in influencing the attitudes of people to various food items. Among those foods, saturated fats and their alleged link with cholesterol have received the most attention. In the early 1950’s, Ancel Keys proposed the so-called, ‘cholesterol-heart disease’ hypothesis. According to the hypothesis, high cholesterol in the blood would result in heart disease, popularly known in common parlance as the “heart attack”. Based on Ancel Keys hypothesis, diet rich in saturated fats thought to encourage cholesterol production in the body leading to heart disease. Thus, foods low in saturated fats and cholesterol were recommended as the best remedies to support a healthy heart. This notion which was held as gospel truth by the medical professionals, spread like a wildfire. As a result, products that are rich in saturated fat including ghee, began to be treated like ‘untouchable’ overnight by all and sundry. The fear of cholesterol led to a campaign against the usage of ghee by many who claimed themselves to be heart-conscious. Now, after 50 years, the diet-heart hypothesis has been discounted by the very same group that proposed it. Now it is dubbing diet-heart hypothesis as a myth with a good amount of supporting evidence. Unfortunately, this latter message has not been received with the same vigor and enthusiasm by the classes and masses. So, the myth continues to take its toll! In Ayurveda, an ancient system of Indian medicine, ghee takes the deserved credit, with several beneficial effects on human body and mind. “Ghritena vardhate buddhihi” is cited in classical texts meaning, ghee promotes intelligence, memory and intellect. Vedas hail cow’s ghee as” life”. Ghee is an indigenous product of India obtained by clarification of milk fat at high temperature. Biochemically, ghee is a complex lipid of mixed glycerides, free fatty acids, phospholipids, sterols and steryl esters. Also has, fat soluble vitamins, carbonyls , hydrocarbons, and traces of Ca, P, Fe etc., The golden-yellow color of cow’s ghee is due to existence of the yellow pigment, carotenoid, a well-known antioxidant. In order to appreciate the ghee health benefits, it is necessary to list its properties. Ghee composes of 60-66% saturated fats, 27% mono unsaturated fats (MUFAs) and 2-3% poly unsaturated fats (PUFAs). In this aspect, ghee comes closest to having the ideal ratio of MUFA to PUFA and is far superior to the popular vegetable oils like, groundnut oil and sunflower oil which are very rich in PUFAs. Ghee’s high MUFA’s helps in prevention of heart disease and cancer. Short chain fatty acids in ghee is about 3% which are easily assimilated and metabolized, releasing energy. Medium chain fatty acids form about 6% with caprylic, capric and lauric acids as the main components. Caprylic acid is endowed with therapeutic properties including the ability to treat infections such as candidiasis, ringworm, gastroenteritis and salmonella. Lauric acid induces the release of intestinal tract enzymes which stimulate the thyroid gland causing activation of thyroid metabolism. Lauric acid is known to promote weight loss, aid in hair growth, skin care, stress relief, increased immunity, proper digestion and maintenance of cholesterol level. Among the long chain fatty acids present in ghee, myristic acid enhances the immune system in the body. Palmitoleic acid is known to maintain the blood pressure level and growth hormone production. Stearic acid acts as a powerful lubricant and oleic acid is a memory booster. Ghee contains linoleic acid, an Omega-6 fatty acid. Ghee also contains α-linoleic acid, an Omega-3 fatty acid. These are in equal proportions and thus, is unique in providing an ideal 1:1 ratio of Omega-6/Omega-3 fatty acids. This is very essential to protect us from mental disorders such as depression, schizophrenia and inflammatory diseases. On the contrary, vegetable oils contain more Omega-6 than Omega-3 fatty acids and thus are dangerous to health in the long run. Ghee has a melting point of 35ᵒC which is less than the human body temperature and hence its rate of absorption is the highest (96%) among all edible oils. 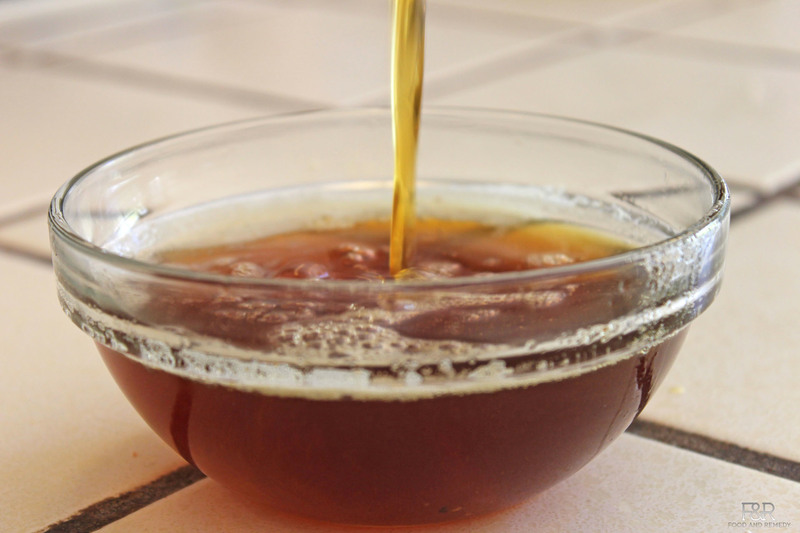 Ghee has high conjugated linoleic acid (CLA) which specifically reduces body fat mass. Other reported beneficial health-related effects of CLA include anti-carcinogenic, anti-atherogenic, anti-diabetogenic and immune modulating properties. Cow’s ghee is considered to be the best carrier of nutrients to cells due to its ability to penetrate deep into tissues. Ghee is one of the best media for cooking since it has a very high smoke point (204ᵒC) and its chemical structure does not change with heat. Ghee stimulates acid secretion in the stomach and aids in digestion. β-carotene and vitamin E present in ghee are well-known antioxidants which helps in reducing free radical damage in the body thus protecting us from several life style diseases besides helping to prolong the shelf-life of ghee at room temperature. Ghee is loaded with vitamin A which helps in keeping the outer lining of eye ball moist and prevents blindness. It is effective in healing of wounds and ulcer of the intestinal tract. It is also effective for treating skin rashes and burns on the body. Ghee taken regularly in small doses is invaluable as it not only increases the digestive capacity but also nourishes the weak. Cow ghee is considered as one which neutralizes poison and gives elixir bestowing longevity. How much of ghee is good? ‘Too much is too bad’ holds good for ghee also. If you wish to know how much is too much, consider this. When ghee is consumed at levels of 10% of total intake of calories, it can increase the risk of cardiovascular diseases (CVD). That is, for a person consuming 1800 calories/day, 10% of those calories would be 180 calories or about 20g fat, which equals approx. 2 tablespoons of ghee per day. At levels under 10% of total calories, however, ghee appears to help lower CVD risks, especially when other fats consumed during the day are exclusively derived from plants. And finally a word of caution. Obese persons should stay away from ghee and those with low digestive power and a weak body should preferably avoid ghee. The quality of ghee is directly related to the quality of milk. Therefore, the properties of ghee could vary very much depending on the nature of feed that the cow is fed with. It is also important to remember that cow’s ghee is considered superior to buffalo‘s ghee. Here is the link for how to make Butter and Ghee at home. Detailed explanation of Ghee's chemical composition and health benefits.